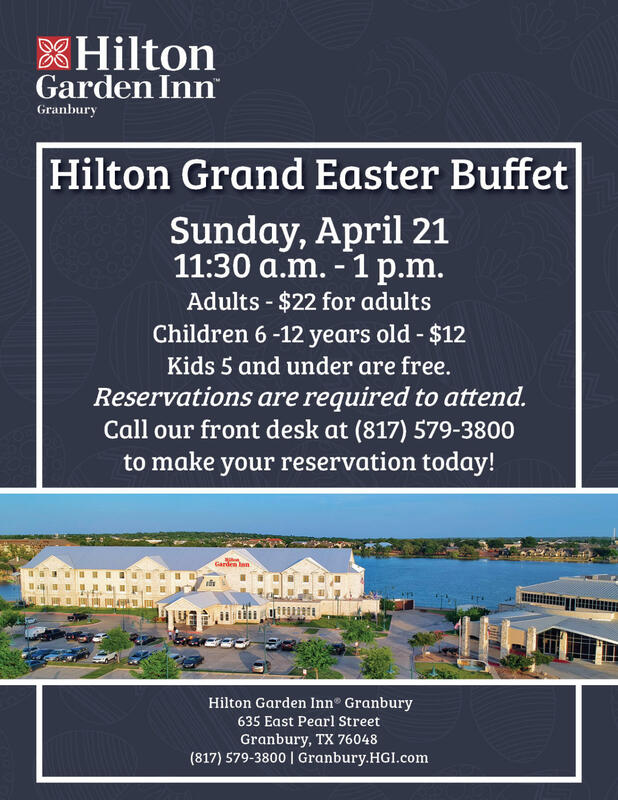 Hilton Garden Inn Granbury is proud to present the Hilton Grand Easter Buffet on Sunday, April 21st from 11:30am to 1:00pm. The buffet will include Easter favorites, specialty items for the kids, carving stations and a variety of desserts prepared by our in-house pastry Chef Terry Huffman. 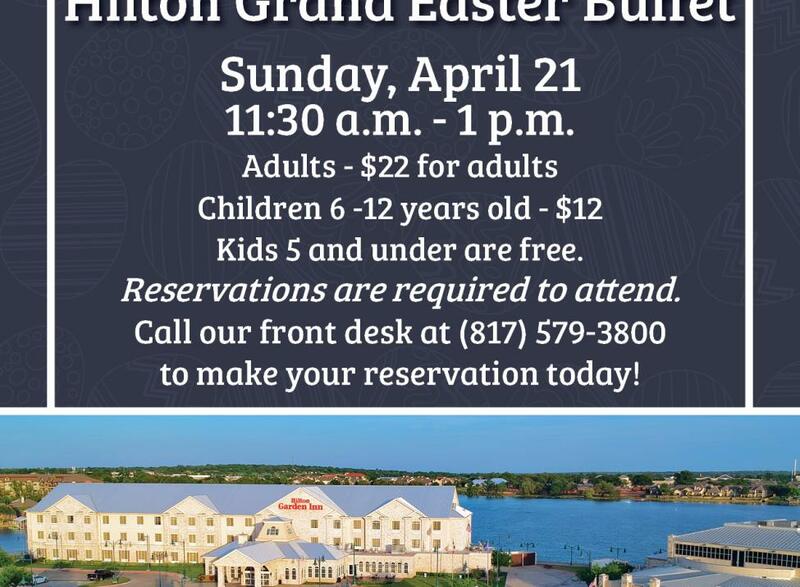 Seating is limited and will overlook the beautiful Lake Granbury! Make your reservation today by calling our front desk at 817-579-3800!